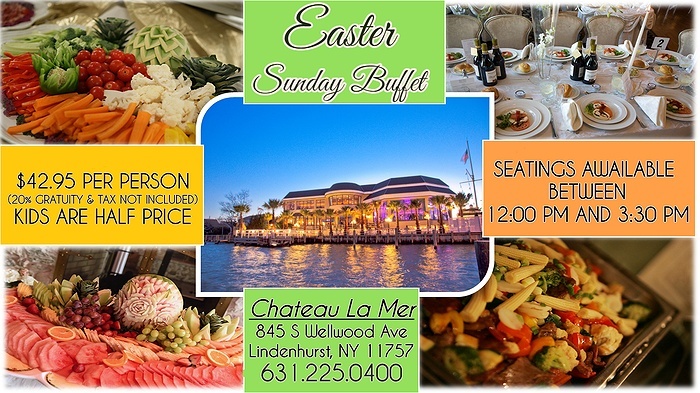 Subject: LongIsland.com - Your Name sent you Event details of "Chateau La Mer's Easter Sunday Buffet"
Families will enjoy a magnificent array of delicious hot and cold stations at Chateau La Mer's Easter Sunday Buffet. Whether you're looking forward to the assorted salads, pastas, seafood, carving station, or desserts, there will be delectable items for all. 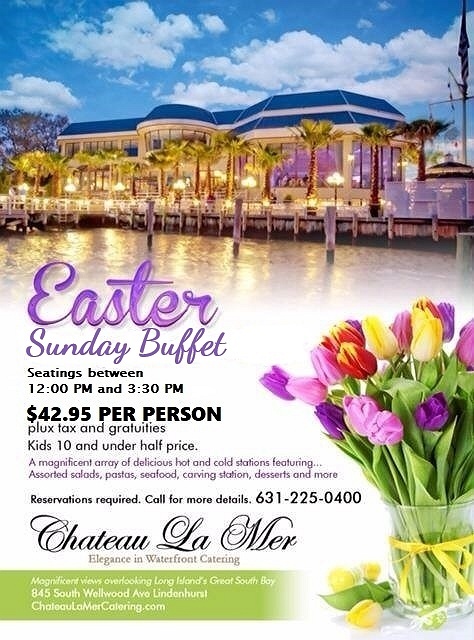 Seatings available between 12 PM and 3:30 PM.